No other herbal blend is as powerful for healing female infertility where there is excess tissue present, pain in the reproductive area, inflammation and hormonal imbalance, than Women’s Best Friend™. Women’s Best Friend™ is a specific herbal blend for endometriosis, uterine fibroids, blocked fallopian tubes, as well as uterine cleansing support for pregnancy preparation. This herbal blend combines powerful herbs that work to reduce heavy menstrual bleeding, curb pain, tone the uterus, reduce abdominal congestion, regulate the menstrual cycle, fight infection, stimulate liver activity for improved estrogen metabolism, and work to balance progesterone. This blend includes seaweed for thyroid support. Women’s Best Friend™ also contains Protease, an enzyme that works to dissolve excess foreign tissues, like those that make up uterine fibroids, endometriosis, scar tissue and adhesions. This herbal blend reduces pain and swelling right away, so you begin to feel better right away. If you are a woman who experiences any of the above fertility issues and you are looking for a natural herbal supplement to aid your body in healing, Women’s Best Friend™ may be an excellent choice! One of the best ways to work to heal fertility issues is from the inside out. Women’s Best Friend’s combination of herbs, seaweed, and Protease enzyme support is convenient, cost effective, and superior for healing. Women’s Best Friend™ comes in easy-to-take capsules, which helps you to stick to your natural healing program. You can keep them in your purse, ensuring you are able to conveniently take them throughout the day. Goldenseal Root (Hydrastis canadensis)– This herb is extremely antibiotic, antimicrobial, and anti-inflammatory. It works to heal any infection in the reproductive system, while also reducing pain and inflammation from foreign tissue growth. Reduction in inflammation may help to prevent scar tissue and adhesions. Goldenseal may help to protect the fallopian tubes from damage due to an infection. Jamaican Dogwood (Piscidia erythrina)– This herb is extremely antispasmodic and analgesic. It reduces muscular cramps and spasm. This is an herb that is often relied on by herbalists for women who have unrelenting pain disturbing daily life activities or debilitating pain. Red Raspberry Leaf (Rubus idaeus)– An herb that supplies high levels of iron and other minerals to the uterus, it can help to build a nourishing uterine lining that is ready for conception. Raspberry leaf works to tone the uterine muscles and normalize blood flow during menses. This is one of the best normalizing herbs for the female reproductive organs. Its high nutritional content is a valuable tool for women preparing for pregnancy. Wild Yam (Dioscorea villosa)– Helps to promote normal hormone levels and overall balance within the reproductive system. Wild Yam may also help the uterus to work more efficiently during menses. This uterine support allows for proper function of the uterus while working to prevent uterine cramping or spasm. Cramp Bark (Viburnum opulus)– This is one of the most effective herbs for reducing uterine spasm and cramping. Cramp Bark brings relief of pain and muscle spasm for smooth muscle, especially the uterus. Ginger Root (Zingiber officianalis)– A wonderful herb used to increase circulation and promote blood flow to the uterus. The increased circulation also helps to reduce inflammation of the uterus, ovaries or fallopian tubes. Ginger aids in healthy digestion, which is very important when preparing for conception. Sarsaparilla (Smilax medica)– Supports healthy hormone production, especially progesterone production. Dong Quai (Angelica sinesis)– This herb helps to reduce cramping and pain in the uterus. Dong Quai acts on the circulatory system and lymphatic system, reducing tissue congestion. It has both pain-reducing and anti-inflammatory properties. It is also very relaxing to the nervous system, which is an important factor for women who have pain associated with fertility issues. False Unicorn (Chamaelirium luteum)– Aids in regulation of the menstrual cycle. Peony Root (Paeonia officinalis)– Peony has been found to aid in increasing progesterone levels, lower testosterone and balance estrogen. Overall this herb has excellent hormone balancing support. It also aids in pain reduction and relaxation. Uva Ursi (Arctostaphylos uva ursi)– One of the best herbs to reduce fluid retention and congestion. It is extremely toning to the urinary system. This herb is also effective for combating vaginitis, due to its antimicrobial activity. Uva Ursi aids the body in removal of excess fluids for proper daily detoxification. Rehmannia (Rehmannia glutinosa)– This gorgeous plant’s root is a wonderful herb for inflammation and uterine spasm. It works to curb mid-cycle bleeding, as well as excessive bleeding. Blessed Thistle (Cnicus benedictus)– A bitter herb which stimulates liver activity for improved hormone metabolism. Hawthorn (Crataegus officinale)– Supportive of heart health, promoting a sense of well-being. Works to reduce abdominal congestion. Hawthorn is extremely high in antioxidants, improves the integrity of blood vessel wall, aids the body in proper oxygen use and improves blood flow. Not only does Women’s Best Friend™ pack a healing punch with a super line-up of medicinal herbs, it also aids thyroid support with Bladderwrack and Arame. Bladderwrack and Arame are two species of seaweed. They are great sources of easy to assimilate iodine, which is essential for proper thyroid function. Improper thyroid function is one of the leading causes of female fertility problems. Earlier I mentioned that Women’s Best Friend has a special ingredient, the enzyme Protease. Fighting excess foreign tissue growth is an essential part of healing. Protease works to help the body prevent and manage foreign tissue growth. Examples of these are endometriosis, uterine fibroids, scar tissue, and adhesion formation. Protease also aids the body in proper blood formation and detoxification. Women’s Best Friend™ Product Label Suggested Use Therapeutically: Take 2 caps, 3 times daily for 2 months. Then, 2 caps, morning and evening for 1 – 2 months. Rest one month before resuming if needed. Using Women’s Best Friend as part of the Fertility Cleanse Kit: From day 18-30 (Phase 2), or until your period begins take 2 capsules, 2 times a day with water. Note: Women’s Best Friend is not meant to be used during the menstrual period. Women’s Best Friend has been shown to be helpful for healing fertility issues, or for healing prior to pregnancy preparation. This product should not be used in pregnancy. If you are a woman that suffers from endometriosis, uterine fibroids, or blocked fallopian tubes and you are trying to find a solution to your pain, conceptions struggles, and general healing, Women’s Best Friend™ may be just what you are looking for! No other herbal blend in our Natural Fertility Shop is specific to these fertility issues, but Women’s Best Friend is. Hundreds of women have come to find that Women’s Best Friend™ works! Feel the difference in pain reduction, heavy menstrual bleeding, bloating, fluid retention, menstrual blood clotting, and hormonal balance, in as little as a few months of use. Consider the healing benefits of Women’s Best Friend today! Romm, A. J. (2010). Botanical medicine for women’s health. St. Louis, MO: Churchill Livingstone/Elsevier. Hi! I have been taking Women’s Best Friend on and off since January 2018. It has helped a bit with inflammation and PMS symptoms. I didn’t know this product was not supposed to be used during menstrual flow. I used the product even during heavy flows as I was hoping for it to help. Yikes! I just recently began taking the product as directed (2 pill 3x a day) about a week ago. My menstrual was due around the same time but did not come so I am about 5 days late. I am wondering if I should stop taking WBF until I take a pregnancy test? My menstrual could just be a little late and I don’t want to skip on the vitamins because I am taking them to help with fibroid and endometriosis issues. Women’s Best Friend is best paused on heavy bleeding days, if there aren’t any it can be taken all cycle long. If you actively tried to conceive and think you may be pregnant, Women’s Best Friend can be paused until you can test for pregnancy. This will be fine! I have very painful periods and there is some concern that it could be endometriosis. Can I take Women’s Best Friend while I am actively trying to conceive? Can I take it with Pregnancy Prep by Vitanica? Women’s Best Friend can be taken while actively trying to conceive. It is best discontinued when you think you may be or upon first determination of pregnancy. It can be taken with Pregnancy Prep. Have you seen our guide 12 Weeks to Improving Your Period? I can’t help thinking that it might be helpful. Hi! I have a question about the Women’s Best Friend supplement. I saw when reading that it is not supposed to be taken DURING your period. However, I have Adenomyosis and I have been struggling with my OBGYN to get my bleeding to stop – unsuccessfully. Today is November 20th and I’ve been either spotting or flowing since July 29th! They’ve tried all kinds of birth control and nothing is working! My question is – Since it says not to use it during your period but I can’t seem to stop bleeding, is this a product you would recommend?? I am so sorry! Women’s Best Friend is not to be used during normal –> heavy flow days. If the bleeding it spotting, it could be considered given what I know. Our guide Adenomyosis: Causes, Risks, & Natural Healing Options may also be helpful as you create a program. Consider learning more about the supplement Slow Flow, be sure your iron levels aren’t low (eat iron rich foods), perhaps considering vitamin D could be helpful, as well. Lastly, if you continue to bleed so, it may be time to ask for a referral to a fertility specialist or find a naturopath near you to help. You deserve this support and to feel well! Hello! I have been taking myo inositol for a few months and after reading your articles I need to be adding D-Chiro-inositol with it together which I’m planning to do. But my question is can I also be taking Women’s best friend as well with them? Women’s Best Friend can be used with Inositol, both Myo-Inositol and D-Chiro-Inositol. This is fine! I have a question. Ive tried this before to help with suspected endo about a year ago and I really liked it. I feel like my body is becoming congested again and I want to repurchase . My question is will this supplement have to be taken continuously to get benefit? Is it safe to stop taking it altogether after your symptoms improve? Women’s Best Friend is intended as one part of a program to help the body properly metabolize excess estrogen and return hormonal balance. Excess estrogen circulating in the body causes hormonal imbalance, disordered ovulation and endometriosis growth outside of the uterus… all culprits with endometriosis. So, consider also learning the 5 Steps to Reversing Endometriosis Infertility. If you’ve worked to remove that which is contributing excess estrogen (diet and lifestyle), and successfully supported a healthy immune system and inflammatory response, then it is possible to no longer need the support of Women’s Best Friend. It is not intended for non-stop use. It is fine to discontinue its use when you feel the time is right (do follow suggested use of continual use for 3 months, after which you take a one month break before trying it again… if need be). I am so glad to hear it once helped and know it will again! I have none of the issues listed in the article, but scant periods and wanted to try to see if WBF will help. I am also doing overall cleanse with diet and yoga for the next 120 days. Since I am not really using it for a known issue, is it OK to use WBF as if part of fertility cleanse (2×2/day), although I am not using other f. cleanse products. Is there a particular dosage I should be taking WBF given that I am on my own cleanse ? Women’s Best Friend can be used outside of the Fertility Cleanse Kit as a dietary supplement. Suggested use is to take 2 caps, 3 times daily for 2 months. Then, 2 caps, morning and evening for 1 – 2 months. Rest one month before resuming if needed. Something else to consider learning more about is Self Fertility Massage. I was diagnosed with blocked Fallopian tubes, I am currently taking Serrapeptase, Wobenzyme, Dong Quai, Maca, Clear flow, cinnamon and poria. Would Women’s best friend help with adhesion’s and mucus plugs ? That said, I am not familiar with ClearFlow and should it be herbal, we suggest against combining multiple herbal combination products. I hope this helps you decide if this product is best for your needs. is WBF good for ovarian cysts? I’m thinking of getting this for my daughter that is 19 that has been diagnosed with an ovarian cysts. If this is not for OC can you recommend what is good for that? Women’s Best Friend has so very many fertility health benefits as you have read in this guide. It’s probably one our favorite herbal blends for women with occasional reproductive discomfort, wanting to support healthy circulation within the body and to promote normal uterine blood flow. It along with the tips in our guide How to Help Ovarian Cysts Naturally and Safely with Herbs and Supplements… would be worth learning as much as you can about. My best to your daughter! I just started taking Women’s Best Friend 25 days ago. I started my period so I stopped taking them. This month my period has been mostly blood clots. This is not normal for me. Is it a normal side effect of taking Women’s Best Friend? Is it healthy to pass this many blood clots? Can Woman’s Best Friend by Crystal Star be taken along with Fertilaid and Ovaboost for fertility? It is my understanding that Crystal Star Women’s Best Friend can be combined with Fertilaid and Ovaboost, but it may be best to reaching out to either Crystal Star or Fairhaven Health to ask this as well. I have mild diffuse adenomyosis and have been suffering from infertility for 4 years (2 failed IVF so far). I am tempted to buy women’s best friend aid, but I also have Hashimoto’s disease and am concerned that the seaweed, which concerns iodine, will upset my thyroid condition. Would you recommend Best Friend Aid to women like myself who have Hashimoto’s? thank you! If you are taking medication for thyroid health, it would be best to consult your healthcare provider about consuming Women’s Best Friend with it. It you have been advised to avoid iodine entirely, it would be best to avoid Women’s Best Friend. Iodine supplementation is largely not advised for those with Hashimotos, autoimmune thyroiditis. For most of us, 150 mcg daily is the recommended dosage of iodine. Doctors may disagree about this for those with Hashimotos. There is also a cohort of doctors who find that with proper selenium levels, consuming iodine (within that RDA) should not be a problem for those with Hashimotos. For these reasons, it is best to discuss the consumption of iodine supplement or iodine-containing foods with your healthcare provider. Consider learning more about Systemic Enzyme Therapy (and also talking to your doctor about this if you are taking medication). this supplement sounds good but dong gui is oestrogenic so I don’t think it would be good for things like fibroids and endo? Through my learning and research, I now understand that herbs and supplements that contain phytoestrogens, or have the propensity to mimic estrogen in the body, may actually protect our bodies from estrogen dominance and xenostrogens which cause estrogen dominance. This is not a commonly known fact about the beautiful plants that provide us their medicine. Our guide Clearing up the Confusion on Phytoestrogens explains how phytoestrogens are protective and may actually be beneficial to the women with estrogen dominant fertility health conditions such as endometriosis and uterine fibroids. Consider these seven little-known fertility benefits of the Chinese Medicine herb Dong Quai everyone should know about! Dong Quai is such a beautiful female fertility herb that should not be feared. Why doesn’t the bottle state that this product should not be taken when on your period? My period started yesterday and am just now finding this information out. What happens if you take it during your period? Fertilica Women’s Best Friend can be taken during menstruation unless you experience heavy menstrual blood flow. If bleeding is heavy, pause using Women’s Best Friend while on your period. Can i take it for uterine cleansing after giving birth? My baby 3 months old and i am breastfeeding. thank you. Women’s Best Friend is not intended for breast feeding women, nor is cleansing because this causes toxins to circulate within the body that can be excreted through breast milk. Some fertility herbs are safe while breastfeeding and others are not suggested (click that link to learn more). Since I have been taking Crystal Star Women’s Best Friend, I have noticed that I have fluid (discharge) coming out. It does not smell. I was wondering is this normal ? Vaginal fluid discharge is natural and normal. This increase may be a sign of an increase in cervical fluid production, as well, which is important for transporting and nourishing the sperm for conception. DO CRYSTAR STAR PRODUCT SHRINK FIBRIOD? The goal of our programs, which include many of the products we suggest, is to support the body in re-learning balance and/or supporting balance when fertility issues are present. The great part about herbs, nutritional supplements and natural therapies is that they often work wonders in doing this given commitment to dietary and lifestyle change is made as well. This is true when uterine fibroids are a concern because dietary and lifestyle changes are one of the easiest, most effective way of reducing exposure to excess, bad estrogens which are one of the main culprits in causing not only fibroid growth, but also hormonal imbalance which then causes disordered ovulation. Uterine fibroids are estrogen-sensitive, meaning that they respond to estrogen in the same way that the lining of your uterus does — growing in response to circulating estrogen. So, it is important to reduce exposure to excess estrogen and to support the body in maintaining a healthy environment within the uterus by promoting hormonal balance, as well as supporting the body’s natural ability to reduce occurrences of occasional growths. Hello, I recently had surgery for ectopic pregnancy in August of this year. I am guessing that the ectopic pregnancy was caused by either my fibroids (I have four, 2 of them being very large) and I also had Chlamydia in 2006 which I did receive treatment for. After the ectopic pregnancy I started doing research in hopes of finding something that would possibly decrease my chances of having another ectopic pregnancy. My question would be, do you think this is a great product for that? It may be most helpful to first talk with your doctor about what may be the cause, or if the fibroids are positioned so that they could be an issue. I do understand your desire to prevent this from happening again. It is great that you have begun to empower yourself! We have a guide, Healing From Ectopic Pregnancy, to offer possible causes, as well as prevention and recovery guidance and well as support for the emotional aspects of ectopic pregnancy. I hope that is helpful! Can I take this supplement on months that I am trying to conceive and just stop it when conception occurs or are the herbs dangerous for a embryo? Women’s Best Friend can be taken when actively trying to conceive and discontinued if you think you may be, or upon first determination of pregnancy. This being said, if you are concerned about conceiving while taking it, it can be stopped at ovulation and started again after menstruation ends. I had D&C surgery in april 2015 then my period stopped for 4 months… and in September I have had the most heavy period with clots and a lot blood. I loose so much my doctor had to give me a blood transfusion and medication in the hospital…was horrible!!! Then my blood stopped and my doc gave me a prescription for mononessa birth control with I hated to take, my belly, my stomach, everything looks so bloated. I brought ” women’s best friend” before everything this happened and now I was thinking, can I stop taking the monessa and just take women’s best friend??? I feel scared the period came back heavily again but I feel so sick when I take those pills?? First, we would never suggest you go off of your medications, including birth control prescribed for heavy menstrual bleeding, as we aren’t exactly sure of your medical history or why your doctor is suggesting this for you. We can only speculate. Having more information about your health would be more helpful. Why did you have a D&C performed? Did you have a miscarriage or was there another reason? The herbs in Women’s Best Friend may be helpful for the symptoms you describe, but may not be the only thing that needs to be considered to help you stabilize your health. We don’t suggest combining Women’s Best Friend with any type of hormonal medication, including Monessa. I have some other ideas that may be helpful, but without knowing more about your health and reproductive health history, it is challenging to say what may be most helpful for you individually. We offer private fertility consultations, if you would like to take a more natural approach to healing. – Oral contraceptives (birth contro/OCP) are like a band-aid, they don’t resolve the problem. Also, you can’t get pregnant when taking them, so if you are wanting to get pregnant, this may not be a good option for healing and health. Relying on OCP to keep heavy menstrual bleeding at bay is not a solution. – D&C comes with some risks, is it possible your heavy bleeding and absent period may be associated with a complication arising from the D&C procedure? – Have you been diagnosed with a reproductive health issue associated with heavy menstrual bleeding such as uterine fibroids or endometriosis? I hope this helps you to see the broad spectrum of considerations that need to be taken prior to choosing to come of of OCP and begin Women’s Best Friend. If you need further guidance, feel free to contact us or purchase a consultation! I was also diagnosed with cervical stenosis and had an opening of the cervix done through surgical means in March this year, prior to an IVF. The baby didn’t implant. Can I go on with this product and wobenyz N, as I have bought them already. If yes for how long can I use it to help the stenosis. I still have my regular period 3-4 days. I am sorry IVF was not a success! Women’s Best Friend and Wobenzym N can be used all cycle long without a break unless menstruation is heavy, in which case they should not be taken during menstruation. They are also best not taken with medication should you be on any unless being guided in combining them all by your healthcare provider. We do not have specific information about cervical stenosis and how it may be impacted by these supplements (this has not been studied), although each has a variety of fertility health benefits. I have cervical stenosis (cervix is blocked due to scarring from a D&C) and Asherman’s syndrome (scarring/adhesians in uterus). Currently not menstruating as confirmed by my ultrasounds. I’m waiting to meet my specialist in 1 month, do you think Women’s Best Friend could be applicable for my situation? Do you know if Women’s best friend has an effect on the Endomentrium Lining? Do you know if it would more likely thin, thicken, or have a neutral effect on the lining? My doctor said a thicker lining could make the adhesions more difficult to find/remove. Thank you greatly! Your site has been a tremendous resource on this journey. I am thankful you are seeing a specialist! It is going to be best to wait to begin using Women’s Best Friend until you have seen the specialist and talked through the best fertility health program for you. Consider sharing with him/her and talking about Systemic Enzyme Therapy. This therapy is known in part to support the body in having a healthy inflammatory response and also for its ability to help the body break down fibrin, the substance that makes up scar tissue. Just had exploratory surgery to see what was causing my PID. It turns out I have PID and adhesions due to an infection. My doctor says it may be from an STD, but not sure yet. I’m taking a test in 7 days (I’m still post op.). I started taking these pills today. My question is if there is an STD will these pills counteract with antibiotics I get them? Best wishes for speedy healing! We can not suggest combining herbs with medications unless being guided in doing do by your healthcare provider. It would be best to share with him/her about this product if interested in continuing it, or pausing its use until the course of medication has been completed. Consider taking time to learn about Systemic Enzyme Therapy as you educate yourself. Thank you for sharing what you are trying. I hope for you great results! Just received a bottle of Women’s Best Friend. I was diagnosed with fibroids a few weeks ago. I am currently on my period and have very heavy periods now. Can I take this during my period and do the these pills affect the effectiveness of birth control pills or Aleve? Women’s Best Friend is not to be used during menstruation, or with birth control pills. Consider referring to the article 3 Things Women with Uterine Fibroids Should Be Doing Daily for tips on naturally supporting the body right away. I will not be able to use Women’s Best Friend, if the protease is from animal sources. If you are using the Vegetarian alternative from Aspergillus orzae, I would be delighted. Please advise. The source of protease in Women’s Best Friend is plants. This protease is plant-based. Thank you for the great website! Is there a difference between crystal star women’s best friend and fertilica women’s best friend? They seem to have the same ingredients… Also is it ok to take it together with vitex, maca, coq10 and DIM? Thank you. Fertilica Women’s Best Friend can be taken with Fertilica Vitex, Maca, CoQ10 Ubiquinol and DIM. Fertilica Women’s Best Friend is formulated by Crystal Star for the Natural Fertility Company. I am thankful for your praise! I was recently diagnosis with adenomyosis, was wondering if it was safe to take Women’s Best Friend and Vitex together. Yes, Women’s Best Friend and Fertilica Vitex can be taken together. The article Adenomyosis: Causes, Risks, & Natural Healing Options may offer helpful guidance as well. I’ve bent taking crystal star women’s best friend for almost 2 months. Taking 2 pills three times a day. I had to to order more for the next two months and I’m going to be out of it today. I won’t get my order until next week so I’ll be skipping like 4 days before I get my next batch. Should I just say screw it and wait a month and start over or should I continually take it like should when I receive my next order? It would be best to continue Women’e Best Friend as diligently when your order arrives. Consider taking a one month break after the next two bottles are completed. Hello!!! I am a victim of endometriosis, and i have been taking this herbal blend for a while now. I has done wonders for me!!! I believe i might be pregnant!!! I was wondering should i continue to take them or not. I am also afraid that if i don’t continue to take them i might have another miscarriage. Is Women’s Best Friend still okay to take during pregnancy? Congratulations! News of your pregnancy is wonderful! How are you feeling? Women’s Best Friend is not to be used in pregnancy and is to be discontinued upon first determination of pregnancy. We do have a wealth of Pregnancy Health information about how to naturally support the body and a developing fetus in pregnancy. I was afraid of that! I absolutely LOVE Women’s Best Friend. The title is just. It had help so much with my endometriosis, I guess the to the point that I was able to get pregnant. Thank you for your help. I hope others chime in here to share their experiences with you. Know that if they do, you will not receive emails directly. So, pop back in from time to time to see if others offer their thoughts. In the meantime, there are several reviews for Women’s Best Friend at the Natural Fertility Shop that may be encouraging. It may help to also join the Natural Fertility Community to connect with others on this journey and/or with similar experiences. Hi! I will start with IVF at end of February. Can I take this pills until that day, 2 capsules 3 times a day? And what is the expiration date of the bottles – I see MFG 07/13 ? Can I take them after giving birth for cleansing? Women’s Best Friend can be taken until a few days prior to beginning your IVF medications. That date you shared is the manufactured date, or the date the product was made. If there were an expiration date, which for herbs is typically 2 years after the manufactured date, it would start with “Exp”. If you intend to breastfeed your newborn, Women’s Best Friend should not be taken after the birth. It is not intended for use while breast feeding. I am 38 and I’m trying to have babies. My period has been getting irregular for about a year. The cycle is getting shorter and lighter. I have experienced cramps, migrane and lower back pain. I had UTI about 2 months ago. I got a urine test again last week and doctor said it’s fine but I still have some symptoms related to UTI. I have done some research and come up to thoughts that i may have been having hormonal change which is causing all those things. So i’m wondering if I Women’s Best Friend would help in my case. If you have any ideas of what other products I should take, please let me know. Thanks! Women’s Best Friend supports reducing occasional discomfort and swelling in the reproductive system, the liver’s ability to metabolize estrogen, and the body’s natural detoxification processes. It may be supportive in these ways for you. Because I only know just a small piece of what is the larger picture of your health, consider learning how to Restore Hormonal Balance for Improved Fertility. 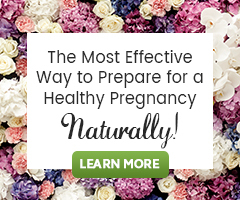 You may also want to consider a Natural Fertility Consultation with our fertility herbalist to receive a full plan designed specifically for your fertility health needs. My cycle is 28 days long and I’m ttc. I am going to order Women’s Best friend but I’m a little confused as to when to start taking it. First it says don’t take while mentruating but then it also says don’t take after ovulation. Please clarify. Sorry for the confusion. This herbal blend is best taken all month long and is fine post-ovulation. The information in older comments is a bit outdated. If you have more questions regarding this product, contact our shop. Thanks. I HAVEN’T HAD A CYCLE NATURALLY IN OVER 8 MONTHS, I JUST STARTED TAKING WBF 2 DAYS AGO. I ALREADY FEEL A DEFERENCE IN MY BODY. ON TOP OF MY BODY FEELING BETTER I ALREADY STARTED SPOTTING. I HAVE UTERINE FIBROIDS! I AM EAGER TO SEE WHAT HAPPENS ONCE I FINISH THE FULL TREATMENT! GOOD LOOK TO EVERYONE IN THERE FERTILITY JOURNEY! Hello, after many years on birth control I have now been off for 4 years. My menstrual cycle has never been the same. I’ve noticed specifically in the past year that my periods are much less regular, varying between 29-34 days between them, and a bit scanty only lasting 2-3 days. I suffered from high tsh levels that have seemed to normalize in the past 3-4 months, i tested with higher than normal androgen levels and ovarian cysts do run in my family. I’m wondering if women’s best friend would be of any help to me. If not used therapeutically, as described in your article, would it be beneficial at all as overal support for my reproductive system? Although I am not looking to conceive at the moment, my husband and I would like to begin trying in the next year. I’d love to hear your thoughts. I am on the 3rd phase of my fertility cleanse. On the second day of taking the Women’s best friend and Conception tea, I felt crampy. The kind of cramp one would get from a UTI. This went on for another day. The cramp was in my groin but it was not as debillitating as the UTI cramps I had had in Feb this year. is this normal? I am starting my IVF cycle in June. Is it to late to start taking the womens best friend? If not, would I take this during my treatment or should I stop before taking meds? Hi, I am currently taking Women’s Best Friend and Maca. I found some info in your Fertility Blog that Maca should be avoided taking during period. Women’s Best Friend also should not be taking during period and starting taking after menses to ovaluation and not after. Could you clear this, when and how exactly to take this herbs. Thank you. hi am currently using vitex and evening primrose oil for my pcos cause clomid and metformin did not work for me. however i wanna no if I can use the fertility cleanse kit while i am taking vitex because i have blocked fallopian tubes. Or should i use them seperately. If you have been using vitex for many months, it is okay to continue on with it during the Fertility Cleanse. Vitex needs to be used consistently over many months to be effective. In general we feel it is best to not combine the two, but continuing vitex if you have been consistent with the vitex in the past is more important. I’ve already ordered this and then just recently I did some research online on some of the ingredients and saw some sources saying that sasparilla has some negative side effects especially Indian sasparilla. What about the safety of taking dong quai? In one article I read that I pasted below it said that dong quai shouldn’t be taken with progesterone. In the Fibrowise Kit there is progesterone cream I believe, so I wouldn’t take Women’s Best Friend with the progesterone cream? The article also says to avoid herbs such as garlic, ginger, and tumeric with Dong quai. Is that true? It also says that dong quai can make the fibroids increase in size (??). I was under the assumption that Dong Quai is used in the treatment of Fibroids. Could you also comment on the natural progesterone cream, has any of your clients had any allergic reactions to it or it’s safe to take? I just want to clear up some concerns I had before starting my program and your help will be really appreciated.Thank you! I think the thing that stands out for me in the articles you mentioned is that they all say “large quantities” when discussing the negative effects of the plants you are concerned about.. The sarsparilla in Women’s Best Friend is in a blend and there is such a low amount of this herb in the blend that honestly it is not going to have a negative impact on fertility. It is there to be supportive of hormonal balance and blood cleansing. As far as Dong Quai is concerned for uterine fibroids, this herb is not suggested alone as part of our specific plan for healing uterine fibroids. Some people theorize that because of the increased circulation to the reproductive system from Dong Quai, that it may contribute to their growth. Uterine Fibroids are considered a stagnant condition and the increased circulation and hormonal balancing effects of Dong Quai may support healing from this condition, rather than make it worse. Again, Dong Quai, in addition to all the herbs in this blend are in such a low dosage they are specifically blended to be healing and supportive, not compromise fertility issues or make them worse. There is no clinical data to show that Dong Quai has estrogenic effects on humans. It has shown estrogen like effects when given in very high doses to animals, but not humans. We have found not contraindications between use of Dong Quai and natural progesterone cream. We have had one report of a rash in a woman who used our Fertilica Progesterone Cream. As with any skin cream, if a rash develops you may be sensitive to one of the ingredients and should discontinue use.